The head of the world’s largest body of Muslim-majority countries has strongly condemned the bombing of a Catholic church in the Philippines that killed 20 people and wounded dozens. The general secretary of the 57-nation Organization of Islamic Co-operation, Yousef Al-Othaimeen, also expressed his “deep indignation” at Sunday’s attack. He said the OIC firmly rejects all forms of violence, extremism and terrorism, whatever their sources or motives. Separately, the OIC also welcomed the results of a recent referendum in the southern Philippines, which proposes expanded autonomy for the region’s minority Muslims in hopes of ending nearly five decades of separatist rebellion that has left 150,000 people dead. ISIS claimed responsibility for twin bombings that killed at least 20 people during a Catholic Church service in the Philippines, the militant group’s news agency Amaq said on Sunday. Pope Francis denounced the twin bombings, and called for those responsible to change their ways. Francis also prayed for the dead and wounded during his Sunday blessing, delivered from Panama where he is wrapping up a youth festival. He expressed “the firmest reproach for this episode of violence.” He called for peace, for those responsible to change their ways and for serene co-habitation for Filipinos. Police said 81 people were wounded in the blast. The fatalities include 15 civilians and five troops. Among the wounded are 14 troops, two police and 65 civilians. 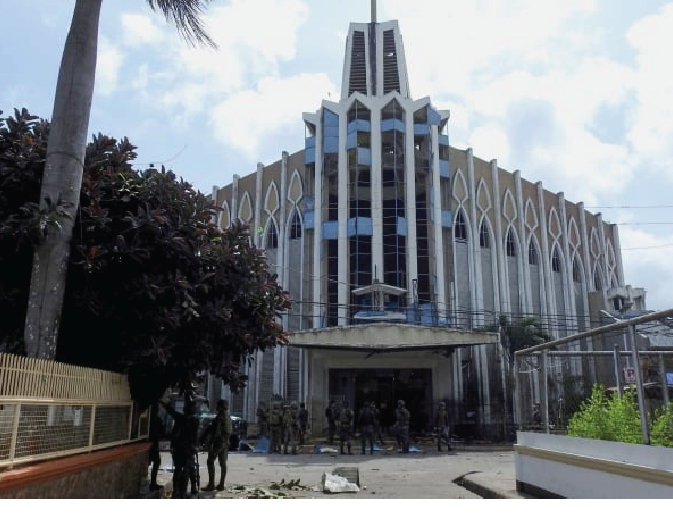 Security officials said the first bomb went off in or near the Jolo cathedral during Sunday Mass, followed by a second blast outside the compound as government forces were responding to the attack. Jolo Island has long been troubled by the presence of Abu Sayyaf militants, who are blacklisted by the United States, Canada and the Philippines as a terrorist organization because of bombings, kidnappings and beheadings.